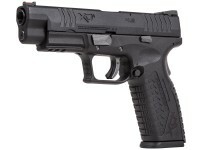 When released in 2007, the Springfield Armory XDM redefined what a polymer pistol should be. 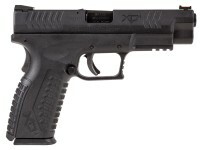 With a laundry list of intriguing features and ergonomic enhancements, the XDM set a new standard that has influenced polymer pistols ever since. After years of waiting, this Springfield Armory icon has made it to the airgun world! Bearing all of the standard markings and trademarks you would find on the real steel XDM, the airgun replica has no shortage of features. 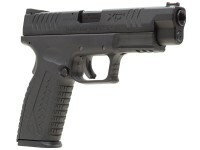 Picking up this replica XDM is likely to make you question whether or not you're holding the real thing. Every detail of the firearm has been transferred over to this air pistol, including the grip safety, ambi mag release, striker status indicator, slide stop, trigger safety and even the takedown lever! The 20 round, drop free magazine has a heft that feels good in the hand. Install a single 12 gram CO2 cartridge, load up your BBs and blast away! The full blowback action of the slide with each pull of the trigger is strong, providing a realistic recoil sensation that is sure to get your attention. And once you've fired your last BB from the magazine, the slide locks back, letting you know it's time for a reload. 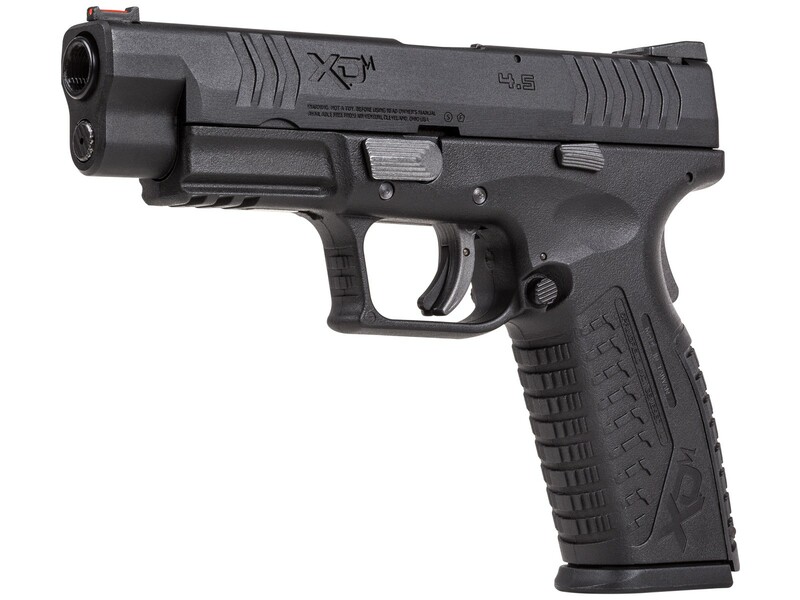 Firing steel BBs at speeds up to 325 fps and achieving 70 shots per CO2 cartridge, the XDM is bound to provide hours of airgun enjoyment. Do the magazines have a hole in the baseplate are are the like the Glock 17 CO2 pistol? When will extra magazines be available for this pistol? One comes with it, spares will be available.